Nepal welcomes record number of tourists in 2018 - Integration Through Media ....! KATHMANDU: Tourist arrivals in Nepal topped one million for the first time in 2018 – boosted by increased visitors from India, China, the US, Sri Lanka and the UK. 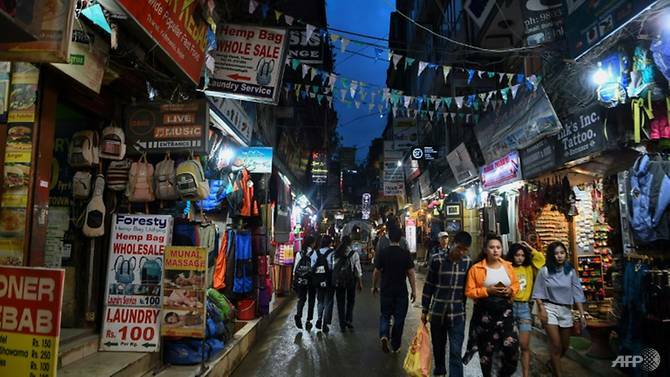 The Himalayan nation saw the number of tourists jump nearly 25 per cent as it welcomed a record high of 1,173,072 visitors in 2018, the country’s tourism authorities said on Tuesday (Jan 9). Rabindra Adhikari, Nepal’s tourism minister, called the new total “remarkable”. Last year also saw a record 807 climbers reach the summit of Mount Everest, including 563 summits from Nepal. Tourism is a major revenue earner for impoverished Nepal, home to eight of the world’s 14 peaks over 8,000 metres. Fears for the industry rose after a devastating earthquake in 2015 that killed nearly 9,000 people and destroyed many of the country’s heritage sites. The industry’s annual revenues fell by almost a third that year, dealing a devastating blow to the economy, but the sector has since gradually recovered.